The Trump Administration has already initiated plans to close all international offices operating under the U.S. Citizenship an Immigration Services (‘the USCIS’). The plan will inevitably cause long delays in the processing of foreign adoptions, family visa applications, as well as citizenship petitions from military personnel stationed outside the country. Currently, the mentioned immigration duties above are performed by employees in different parts of the world. However, the staff members of the USCIS recently received an email from Director L. Francis Cissna stating that he will be transferring their duties to domestic offices as well as embassies and consulates under the State Department. The director confirmed that the approval of his plans by the State Department would lead to the closure of the USCIS international offices as a strategy for managing the usage of the agency’s scarce resources. In his email, Director Cissna expressed his belief that the plan will help the U.S. to leverage its funds as well as address the backlogs in the system. He also accredited the plan with helping the U.S. Department to focus its resources on more demanding areas. 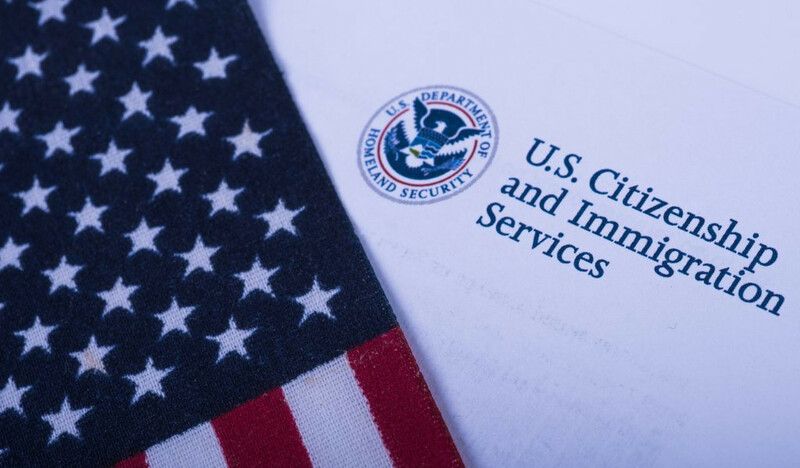 Despite the difficulty created by such a huge change, Director Cissna promised that the agency would pursue any means that promises to make the transition as smooth as possible for the dedicated USCIS staff. His email made it clear that the agency would guarantee continuity of smooth operations during the transition period. The impending shift will target offices in Rome, New Delhi, Haiti, and other foreign cities that host USCIS offices handle smooth backlogs in the immigration petitions, offer emergency services, and provide direct information using local dialects. The USCIS offices that investigate claims of fraud will also be affected. Official records indicate that over 20 offices are likely to be affected. Some of these offices are in China, Mexico, and Addis Ababa. According to administration officials, the planned closure of the offices will help them to refocus their scarce resources towards minimizing backlogs in the U.S. immigration system. In addition, it will help the country to make considerable financial savings annually. Discouraging foreigners to immigrate into the U.S. However, immigration advocates see the plan as a ploy used by the Trump Administration to discourage foreigners from seeking immigration to the country. Experts have warned that the closure of the offices will reduce the country’s engagement with the international community. Leon Rodriguez, a USCIS director who served during the Obama regime, views the plan as curtailing the global presence of the agency. As a USCIS director, Leon helped the families of military personnel to undergo naturalization in Rome, Frankfurt and Germany. He is convinced that the plan advances the isolationist policy of the Trump regime. On Tuesday, the Statement Department reiterated its commitment to taking over the duties performed by the USCIS if the two parties reach an agreement. The State Department also confirmed that it would continue working alongside the USCIS at home and abroad. The USCIS international offices facilitate the processing of immigration applications from foreigners and, hence, closure will reassign approximately 70 USCIS staffers worldwide. The USCIS website earmarks these personnel as providers of valuable information services. These personnel help the widows of American nationals and military personnel to acquire legal documents. The legal counsel for American families seeking to adopt foreign children accredits the USCIS with offering expertise that was unavailable in consular corps. According to the V.P of the National Council for Adoption, the USCIS operates using money from U.S. taxpayers and immigrant fees. Thus, the agency should not be disrupted. However, proponents of the plan are calling for the execution of the plan. Jessica M. Vaughan, an executive from the Center for Immigration Studies, claims that the personnel working at the State Department can handle the extra duties. She feels that the State Department can do the job using a smaller budget than the USCIS. The plan was announced at a time when the Trump Administration is pushing reforms to tighten border control. In addition, the Trump regime is seeking to replace the family reunification immigration model with a merit-based model. Personnel from the Department of Homeland Security suggest that the current plan is geared towards the overall goal of streamlining immigration functionalities in the country. An anonymous executive working in the DHS has confirmed that the Trump regime will publicize a decision showing that the current plan is a cost-saving strategy. The move will see the duties of the USCIS transfer to personnel working for the DHS and State Department outside the country. Currently, the USCIS International Operations Division has approximately 240 employees working within the U.S. as well as in 24 foreign field offices located in over 20 nations. The mandate of the USCIS International Operations Division is to support and advance the mission of the USCIS at the global arena. Based on the organizational website, the USCIS International Operations Division seeks to reunite families, provide travel documents, process parole requests from foreigners needing humanitarian assistance, provide information services, and facilitate the adoption of foreign children by U.S. citizens. These are routine tasks handled by the agency. In addition, the agency helps refugees, aids asylees, probes fraud, and provides information using local dialects. Over half of the personnel working for the USCIS offices abroad are foreign citizens and contract workers. These employees handle applicant screenings. Fortunately, an executive from the DHS has confirmed that the employment status of these employees would not change because DHS would hire for the same roles immediately. However, American citizens working for the USCIS abroad should know that they would have to go back home if the State Department approves the plan. Officials have already communicated that USCIS will keep its U.S.-based offices open even after the completion of the plan. One key function that is safe from disruption is refugee processing given that the role is handled by a separate unit. Nevertheless, immigration lawyers are currently distrustful of the Trump regime because the latter is delaying the processing of immigration applications thereby intensifying the inspection of applications that cleared swiftly in the past. They also believe that the regime is blocking foreigners from accessing their families, work, and schools in the U.S.
For example, an immigration lawyer named George Bruno has labelled the Trump Administration as being unfriendly to immigration because the regime is offering awful service. He reckons that the future is dark if the closure of USCIS offices goes ahead as planned. Director Cissna’s message also outlined his plan to consolidate the U.S.-based field, regional, and district offices soon. The move is expected to balance resources, streamline operations, improve service delivery, and enhance organizational mission.